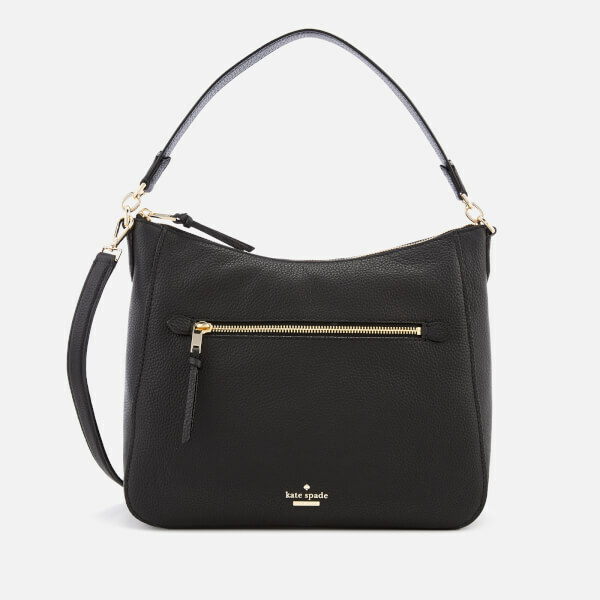 Structured, sleek and crafted from pebble-textured grainy leather, the women’s ‘Jackson Street Quincy’ bag from Kate Spade boasts a square silhouette with a curved zip-top edge. 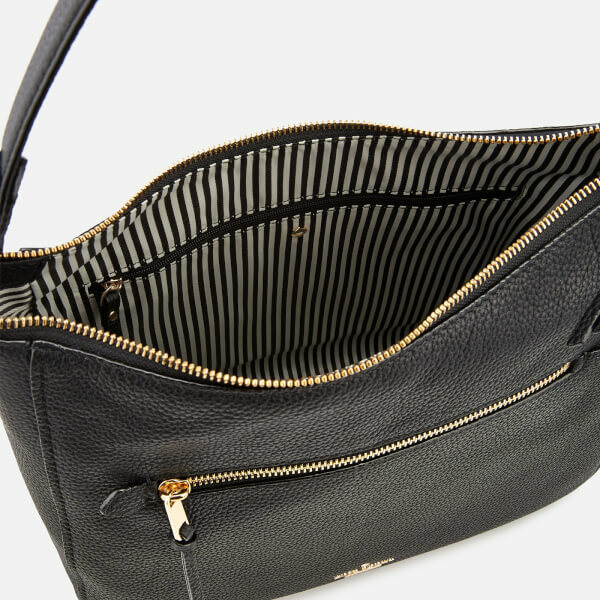 The shoulder bag unzips to reveal a striped fabric-lined interior complete with a zip pocket and two slips within. 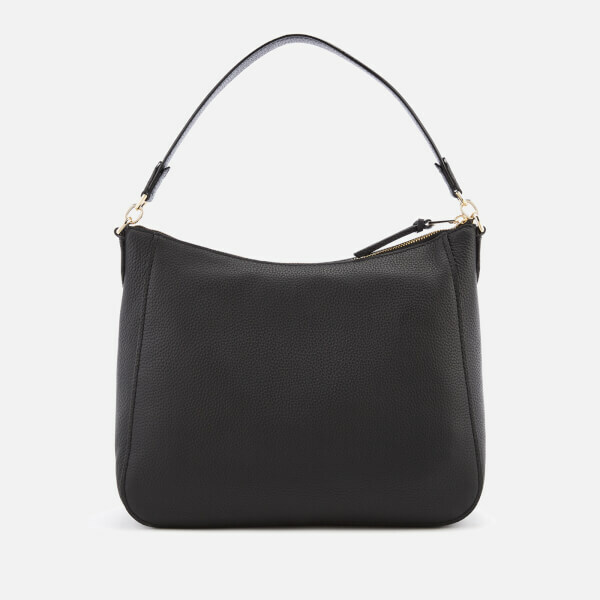 Suspended from a shoulder strap, the bag offers versatile wear thanks to a detachable cross body strap. A front zip pocket offers additional storage space for essentials. Pale gold-tone hardware and appliqué branding add the signature touches. Dimensions: H: 26cm x W: 31cm x D: 11cm. Handle Drop: 23cm. 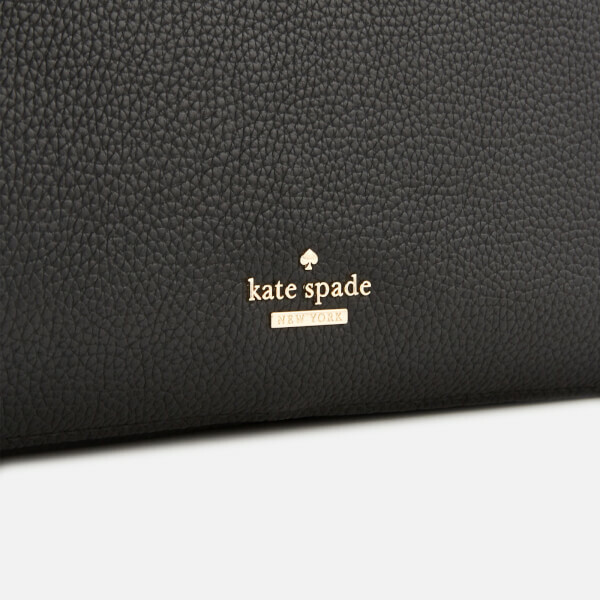 Strap Drop: 54cm.